Dr. Gaudet is involved in several research studies investigating the effects of maternal obesity on health outcomes of mother, fetus and child, prevention of preterm birth and prevention of pre-eclampsia. She has been an active recruiter for clinical trials, including the FACT trial. She has also functioned as a clinical content expert for systematic reviews in the fields of preterm birth and excess weight in pregnancy. Dr. Laura Gaudet holds a Doctor of Medicine from Queen’s University in Kingston, Ontario, Canada where she also completed her residency training in Obstetrics and Gynecology. She then undertook subspecialty training in Maternal Fetal Medicine and a Master’s of Science in Epidemiology and Community Medicine at the University of Ottawa. 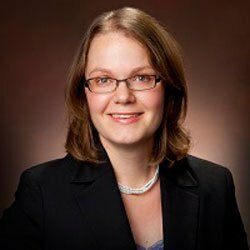 Currently, she is a practicing perinatologist at The Ottawa Hospital and an Assistant Professor of Obstetrics and Gynecology at The University of Ottawa. •	Z.M. Ferraro, K.S. Boehm, L.M. Gaudet, K.B. Adamo. Counseling about gestational weight gain and healthy lifestyles during pregnancy: Canadian maternity care providers' self-evaluation. International Journal of Women's Health. 2013;30(5):629-36. •	A. Russell, S. Gillespie, S. Satya, L. M. Gaudet. Assessing the Accuracy of Pregnant Women in New Brunswick when Recalling Pre-pregnancy Weight and Gestational Weight Gain. Journal of Obstetrics and Gynaecology of Canada. 2013;35(9):802-809. •	D. El-Chaar, S.A. Finkelstein, X. Tu, D.B. Fell, L. Gaudet, J. Sylvain, G. Tawagi, S.W. Wen, M. Walker. The impact of increasing obesity class on obstetrical outcomes. Journal of Obstetrics and Gynaecology of Canada. 2013;35(3):224-33. •	L.M. Gaudet, X. Tu, D. Fell, D. El-Chaar, S.W. Wen, M. Walker. The Effect of Maternal Morbid Obesity on Neonatal Outcomes: A Retrospective Matched Cohort Study. Journal of Maternal-Fetal & Neonatal Medicine. 2012;25(11):2281-6. •	L.M. Gaudet, K. Singh, L. Weeks, B. Skidmore, A. Tsertsavdze, M. Ansari. Comparative Effectiveness of Terbutaline Pump for the Prevention of Preterm Birth. A Systematic Review and Meta-Analysis. PLoS One. 2012;7(2):e31679 (1-10).